The hiragana ひらがな is one of the three Japanese "alphabets". It's counterpart of the katakana カタカナ. 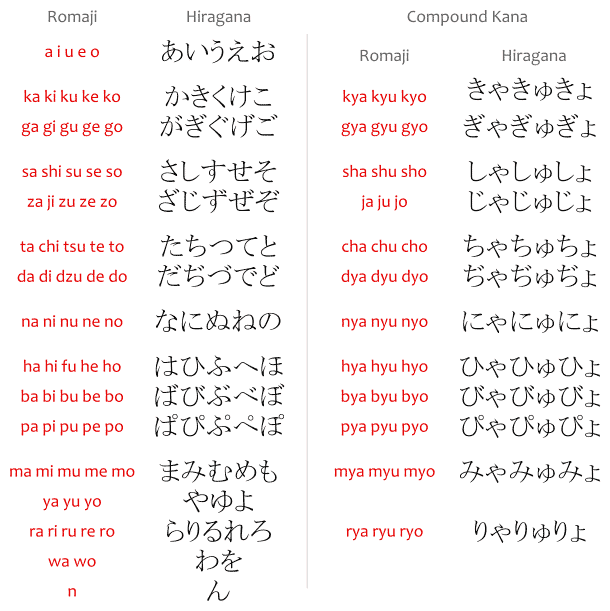 Both hiragana and katakana are sometimes referred to as kana かな. Unlike the kanji 漢字, whose readings may vary depending on the word, the way a kana such as hiragana is read always stay the same. The hiragana is normally used to write the Japanese particles, to write the furigana 振り仮名, to write the okurigana 送り仮名, and to write some simple, common words that aren't written with kanji.